We read with interest the recent article from Fidler et al. published online in LUNG (March 2019) and the previous article from De Sadeleer et al. (March 2018) examining the role of myositis antibodies (MA), which characterize idiopathic inflammatory myositis (IIM), in the evaluation of idiopathic interstitial pneumonia (IIP). In IIM, the lung is the most frequent extra-muscular organ involved. 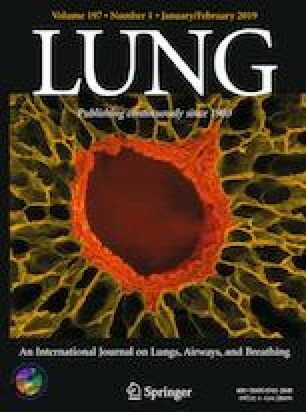 Interstitial lung disease (ILD) occurs in 50% of patients and often presents before connective tissue disease (CTD) features are evident, so the identification of autoantibodies can aid diagnosis in otherwise complex cases .